If you are injured on the job, and you hope to receive workers’ compensation benefits, you should be fully aware of the deadlines you must meet in order for your claim to be approved. Claims that are otherwise entirely valid are sometimes denied by the New York State Workers’ Compensation Board simply because the employee failed to meet a deadline. One of the most important factors to keep in mind is that you are expected to file a claim within two years of your injury. If you did not suffer a typical injury, but rather you became injured gradually over time – or if you became ill because of the conditions in your workplace – then the time requirement is different. You are expected to file a claim within two years of the day that you became aware (or should have become aware) that your injury was related to your employment. Before you concern yourself with the two-year deadline for filing a claim with the Workers’ Compensation Board, there is a more urgent deadline that you should take notice of. 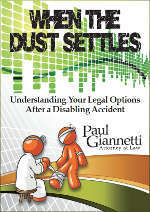 Within 30 days of an injury, you are expected to notify your employer about the injury, in writing. There are some circumstances in which the Board will make an exception, and allow a claim even if the employer was not notified within 30 days. If you have missed a deadline, you should not give up. Your claim may be approved, if there were special circumstances that prevented you from filing your claim on time. The New York State Workers’ Compensation Board has a webpage (which can be found here) that details the timeline of a claim, and includes the relevant deadlines. If you file a workers’ compensation claim, you are not the only one who will have deadlines to deal with. After you notify your employer that you have been injured on the job, your employer will be expected to notify the Workers’ Compensation Board, as well as the employer’s insurance carrier, within 10 days. After you have filed a claim, and your employer has notified its insurance carrier, the insurance company is required by law to provide you with a written statement describing your legal rights. The insurance company must do this when you receive your first check, or within 14 days of receiving notice from your employer – whichever is earlier. This means that if 24 days have passed since you notified your employer about the accident, you should have received a written statement of your rights from your employer’s insurance carrier. 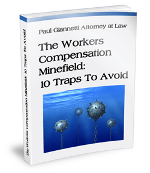 If you have not received this statement, you should notify the Workers’ Compensation Board. If you are confused by the procedures for filing a claim, or you have any other questions related to workers’ compensation benefits, you can call Albany attorney Paul Giannetti at the office today at (518) 243-8011. You can also contact us online here.